The most obvious distinguishing feature of the LaMancha is the very short ears. Short eared goats have been known in many places since ancient times but the development of this dairy breed occurred in America. Spanish Missionaries brought a dual purpose short eared goat to California. These goats, known as ‘monas’ or ‘monkeys’, spread throughout the American west as the Spanish moved and are thought to be the precursor of the present day LaMancha. The name arose from a shipment of short eared goats that were sent to the Paris World’s Fair for exhibition in 1904. The inscription on the shipment was unclear, but “LaMancha, Cordoba, Spain” could be read and the name became the accepted term for the American version of the goat as well. The first breeder to establish a herd of LaManchas was thought to be Phoebe Wilhelm who owned around 125 LaMancha type goats in the 1920’s. After years of hybridization with other breeds to build numbers, the LaMancha characteristics continued to dominate. Many breeders contributed to the development of the breed, but much credit is given to Eula Fay Frey who was located in southern Oregon. 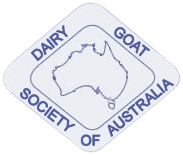 The American LaMancha registry was opened with around 200 goats on January 27, 1958. Characteristics that make it a good choice for a dairy goat and the most popular dairy goat in America are good quality milk with high butterfat and protein, and the ability to milk through quite well. They are relatively easy to keep, in both home or commercial settings and above all, they are lovable, easy going and cooperative. GENERAL APPEARANCE: Moderate size dairy type showing no tendency to coarseness. Harmoniously blended showing femininity in does, masculinity in bucks. HEAD (skull, eyes, ears, mouth, nostrils): Head elegant, of medium length. Facial line straight. Polled or disbudded. Eyes set broadly apart, large and bright. Ears are the distinctive feature of the breed, a) over b). a) The “gopher ear” is described as follows: maximum length of one inch (2.5 cm) but preferably nonexistent and with very little or no cartilage. The end of the ear must be turned up or down. This is the only type of ear that will make bucks eligible for registration. b) The “elf ear” is described as follows: maximum length of two inches (5.0 cm) is allowed, the end of the ear must be turned up or turned down and cartilage shaping the small ear is allowed. The ear is to be measured with a rigid measure placed firmly against the head at the base of the ear that is neither pulled nor stretched. Natural folds and creases of the ear are to be unaltered during measurement. MUZZLE: Well developed without coarseness. Side profile should show no tendency to undershot or overshot jaw. NECK: Clean at junction to neck, with or without tassels, blended smoothly into shoulders. Does long and fine, bucks with strength not coarseness. BACKLINE: Strong, straight and horizontal from withers to hips. FOREQUARTERS: Withers sloping into shoulders and blending into the body. Chest showing medium width and depth in does, greater capacity in bucks. BODY: Wedge shaped deep frame with a good length of barrel with well sprung ribs. HINDQUARTERS: Slight slope from hips to tail. Good width between hips. Rump broad with pin bones wide. LEGS: straight, Strong and parallel from front and side. Hindlegs straight and parallel when viewed from the rear; hocks slightly bent when viewed from side. Pasterns short and strong. Hooves sound and well-shaped. UDDER: High wide attachment at rear and well forward in front without pocket. Not pendulous or unduly divided. Soft textured and showing good capacity. TEATS: Of adequate size for ease of milking, well attached and distinct from the udder. Set well apart, pointing slightly forward and down not outward. TESTICLES: Scrotum well attached, relatively even and not divided or unduly pendulous, carrying 2 testes. RUDIMENTARY TEATS (bucks): Two, set wide apart slightly to the fore and side of scrotum, of good size but not overdeveloped unless the buck is milking. SIZE: Does minimum height (28 in./71 cm) – Mature Bucks Minimum height (30 in./76 cm). Height to be measured at 4 years. COAT: Short, fine and glossy. Bucks may have a longer coat. COLOUR: Any colour or combination of colours is acceptable with no preferences. DIFFERING FROM IDEAL Horned, large scurs, uneven tassels. FAULTS/VERY SERIOUS DEFECTS: Roman nose, cow hocks. Dropped pasterns. Roach or sway back. Lack of dairy quality. Uneven gait. Malformed feet. Weak or narrow chest. Shallow body. Steep rump. Fleshy, pendulous or unduly divided udder. Pocket in udder. Teats- small, thin, large, bulbous, ill-defined, unbalanced. Lack of milking capacity. Divided, uneven or unduly pendulous scrotum. Pink skin. Height smaller than 71cms. DISQUALIFICATIONS: Blind teat. Double teat(s). Supernumerary teats. Double orifice. Evidence of hermaphroditism/intersex. Wry face. Buck with one testicle or with abnormal testicles. Anything other than gopher ears on bucks. Ears other than true LaMancha type on does.